Our gardens are attractive not only to us, but typically to a variety of wildlife as well. To encourage your guests to not make a smorgasbord of your flowers, shrubs, trees, and vegetables try some of the eco-friendly suggestions on this page. This is a guide about eco-friendly critter control. You may have noticed things getting a bit more crowded in your garden. Animal and human interactions are becoming more commonplace as our habitats increasingly overlap. Here are some tips to minimizing the unwanted interactions (in your garden, anyway) without the use of synthetic pesticides or poisons. Many animals, including snakes, lizards, toads, bats and a variety of birds are extremely beneficial to your garden. Insects can make up as much as 90% of their diets. 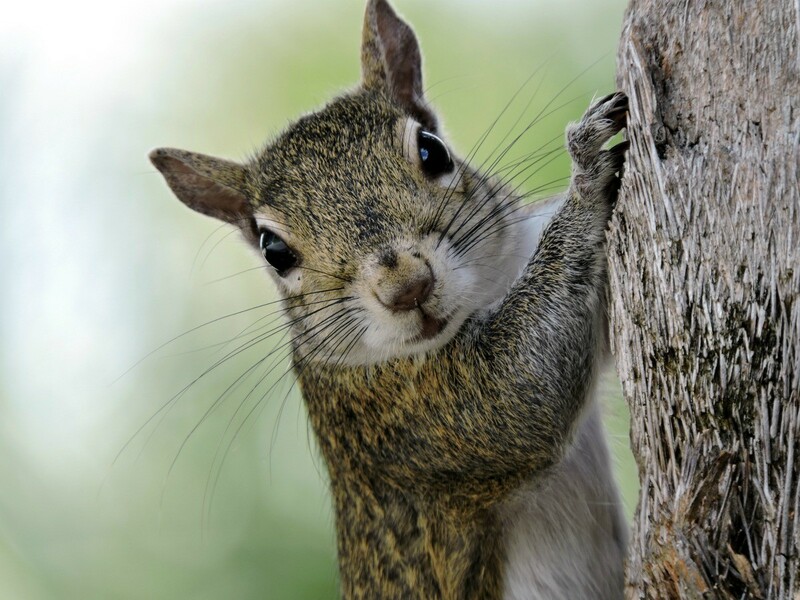 Encourage these helpful critters to take up residence in and around your garden by providing them with the food, water, and shelter they need. You don't want to waste your time (or your plants) trying to outwit a raccoon if a deer is the real culprit. You need to be certain about what kind of animal you're dealing with in order to effectively control it. Look for signs, tracks, and droppings to confirm your suspicions. Most animals have an established range and territory that may make getting rid of them difficult-at first. Once you remove them from the area, however, they will likely stay away permanently. Feeding the deer and birds in the backyard might be enjoyable, but understand that doing so only encourages them to expect more-potentially at your garden's expense. During times when high animal populations stress food supplies, even feeders located well away from your garden are unlikely to deter browsers from a free meal. Sprays and repellants are designed to soak into plants to make them unappealing to animals. Unfortunately, this also sometimes makes them unappealing to humans. Fences and natural barriers can be cost prohibitive for large gardens but are usually the most effective at keeping out animal pests. Keep grass short and gardens away from tree lines. Remove brush and debris from areas near your garden to reduce hiding places for smaller pests. Make them think twice about crossing expansive spaces without protective cover. Many people find that keeping their dogs tied or kenneled near their gardens at night deters most animal pests. Make sure, however, that if you live in an areas with bears, wolves, or coyotes, you keep your dog out of harm's way. Scent tends to be the most powerful deterrent. 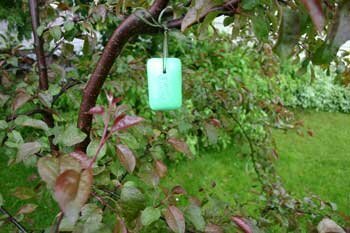 Hanging a strong smelling deodorant soap from orchards or landscaping trees provides protection from nibbling deer. Socks or rags soaked in blood meal, bone meal, hot pepper sauce, or garlic also repel deer. Animals fear the scent of their predators. Scatter human, dog, or cat hair around garden perimeters or hang hair from trees and shrubs in cheesecloth. Replace after each rain. Foul smelling odors like rancid eggs or blood meal work well as deterrents to most animals. Animals fear the likeness of their predators. Predator props, like fake owls and rubber snakes will fool some animals (birds, mice, and rabbits) for a while, especially if you move them periodically. Scare tactics like loud noises (wind chimes, radios, or clanging pie aluminum pie tins); reflective surfaces (mirrors or CDs swinging in trees) or wildly flapping objects (mylar ribbon or balloons) can also be effective. Understand that eventually animals will probably become used to your scare tactics so you'll need to switch strategies. Controls work best when specific animal populations are low and not stressed for food. No one control will work every time on every animal so keep trying! Human urine will act as a deterent also. A friend of mine just had her husband go outside around the peremeter of their yard. She says it kept all the "other" animals out! They live out in the country so there are no neighbors to freak out and send for the police.